Nutrition counseling to build a healthy relationship with food, body, and self. For over a decade, I have been privileged to provide individualized nutrition counseling that specializes in eating disorder prevention, treatment, and recovery in the Philadelphia area. As a Certified Eating Disorders Registered Dietitian (CEDRD), Certified Diabetes Educator (CDE) and Licensed Dietitian-Nutritionist (LDN), I have developed an approach that encompasses nutritional science, exploration of food and emotions, and intuitive eating practices to help individuals with eating disorders heal their relationship with food, body, and self. I have a unique background that has provided me with extensive training in both the eating disorder field and in the field of diabetes. Few healthcare professionals specialize in both of these areas. Through this unique background, I have come to have a passion for treating clients with eating disorders, disordered eating, and diabetes. I look forward to working with you on your journey toward making peace with food and weight. 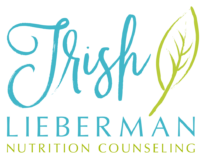 Trish provides one-on-one nutrition counseling in a compassionate, non-judgmental setting. Trish has been featured in the media promoting eating disorder awareness and prevention. She has presented a podcast, professional webinars, and presentations. Nutrition counseling encompasses so much more than meal planning. My approach blends nutritional science, the exploration of food and emotions, and intuitive eating practices to help you heal your relationship with food and your body. I am here to support you using a thoughtful and non-judgmental approach. Together we will discover your strengths to support your personal growth. It’s okay to have mixed feelings when starting to work with a dietitian. Nutrition counseling can be a very personal journey. I promise to listen to you and your story with compassion and work with you to set realistic, sustainable goals in your journey toward making peace with food and body image. As The ancient Chinese proverb says “A journey of a thousand miles begins with a single step”. I am so glad that you have allowed me to accompany you onto the path of wellness. To help me support you on your journey to a healthy, postive relationship with food I invite you to download our welcome packet which helps me to get to know you, your unique situation, and goals. Since I tailor every appointment to meet your personal needs and lifestyle it is important to have this information completed prior to your first visit.